Our Halloween Shops are Now Open! Need costume and decor ideas? Visit our special Halloween section. We're Hiring Team Members for our New Frankfort Store! Goodwill is actively seeking Team Members for our new store in Frankfort, IL. If you're interested in working for Goodwill, please attend the job fairs! Walk-ins are welcome. Or, you can apply online here. We're holding on to the last days of summer! 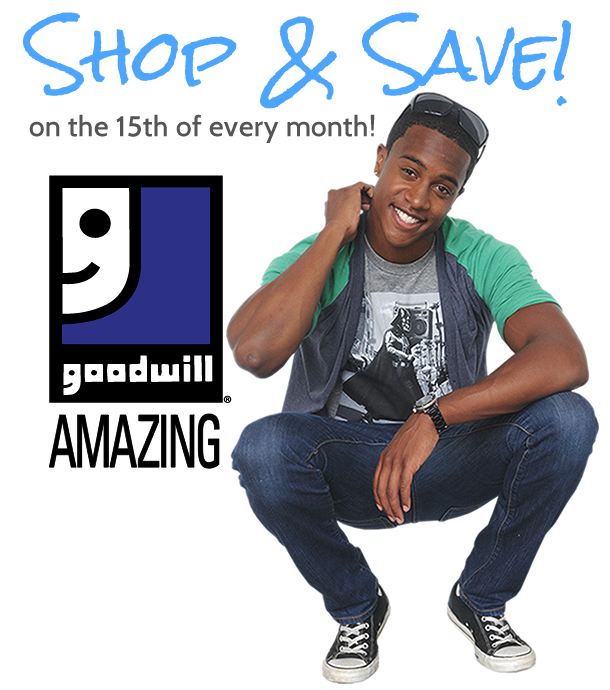 All Club Goodwill REwards members will receive 50% off one item on Monday, September 1st! If you haven't signed up for our NEW rewards program, stop in and sign up at one of our participating Goodwill Store & Donation Centers today! We're Having a Back-to-School Sale! 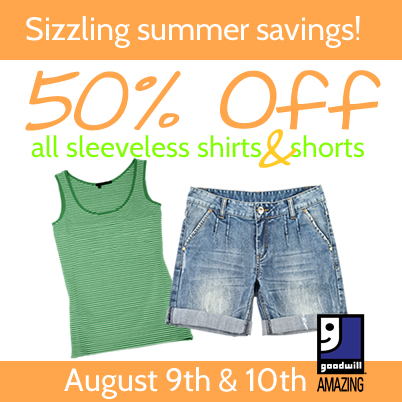 Get back to school for less with Goodwill! All Club Goodwill REwards members will receive 25% off all clothing items this Saturday and Sunday during our Back-to-School Sale! If you haven't signed up for our NEW rewards program, stop in and sign up at one of our particpating Goodwill Store & Donation Centers today! Shop and Save on the 15th of Every Month! When you make a purchase at Goodwill on the 15th you'll also receive a coupon to come back on the 16th, 17th or 18th for 20% off your entire purchase! Goodwill is the place to launch an invigorating career in retail. Are you ready to join us? Visit our AmazingGoodwill Careers website to learn more about our opportunities, and to apply!